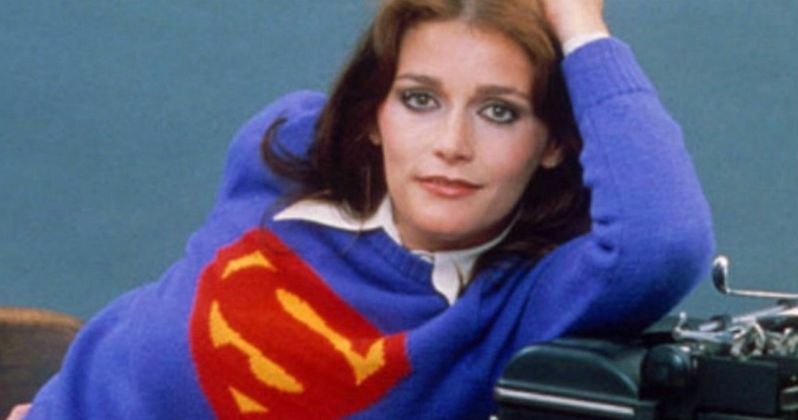 Actress Margot Kidder, best known for playing Lois Lane in Superman, passed away on Sunday at the age of 69, according to reports. Kidder was found at her home in Montana. The cause of death is currently under investigation, according to police, after an anonymous caller reported that the actress was unconscious. Police responded to the call and found Margot Kidder unresponsive. Margot Kidder began her acting career in the 1960s and rose to fame by playing Lois Lane, starring alongside Christopher Reeve in 1978's Superman. The comic book movie was the most expensive project to be released at that point, costing $55 million and it was a huge critical and financial success. She also starred in the three sequels that followed. Additionally, Kidder starred in The Amityville Horror in 1979, Heartaches, and a slew of other movies and TV shows. She took a role in Rob Zombie's horror sequel Halloween 2 back in 2009. She even continued to act up until last year in a movie called The Neighborhood, which is a Canadian drama. Margot Kidder was born and raised in Yellowknife, Northwest Territories, Canada and was one of five children. She attended multiple schools and knew at the age of 12 that she wanted to leave Northern Canada and get into acting as soon as possible after her mother took her to see the musical Bye Bye Birdie. The actress made her debut in a short film The Best Damn Fiddler from Calabogie to Kaladar in 1968,which was a drama set in a Canadian logging community. Her career started to take off in 1970 when she starred opposite Gene Wilder in Quackser Fortune Has a Cousin in the Bronx. She received the Canadian Film Award for Best Actress for her performance in the war drama A Quiet Day in Belfast in 1974, which was her second time winning the award. Later in life, Margot Kidder battled mental illness and was briefly homeless in 1996. She was diagnosed with manic depression in 1988, but refused to take her prescribed medication, which led to her getting taken away in handcuffs by police after an altercation in 1996. Kidder said that her mood swings "could knock over a building," and that it was hard for her to see that there was anything wrong with her actions. After the public episode, Margot Kidder became an advocate for mental illness and was also very outspoken when it came to politics. She attributed orthomolecular medicine, which is an alternative form of medicine, for her well-being. Margot Kidder was married three times over the years and is survived by her daughter Maggie McGuane who was born in 1976. She remained close personal friends with Christopher Reeve until his death in 2004. She said that they became close after working together on the first Superman movie and the three sequels afterwards. She has said that Reeve was a big part of her life and he was really "smart and complicated." This story was first reported by TMZ. Rest in Peace, Margot Kidder.